A report from Amnesty International is alleging that 10 women's rights activists who have been detained in Saudi Arabia for months without charge have been tortured and sexually abused. A report from Amnesty International is alleging that 10 women's rights activists who have been detained in Saudi Arabia for months without charge are facing escalating levels of torture and sexual abuse. Amnesty first alleged that several activists had been tortured in November. They say they've now collected testimony from more women, in more than one Saudi prison. 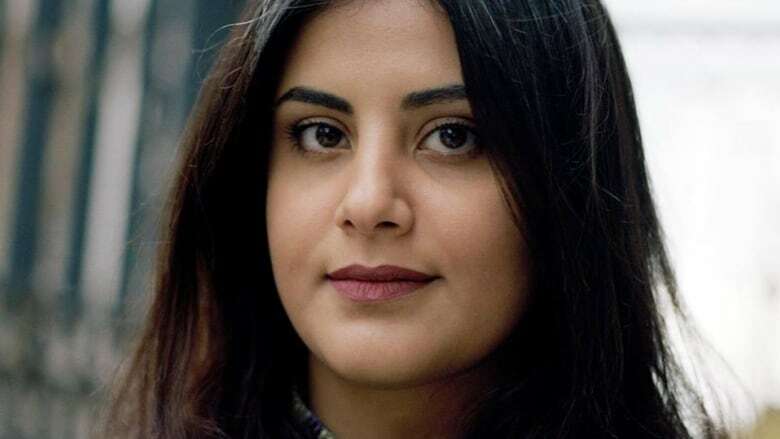 Among those detained is University of British Columbia graduate Loujain Al-Hathloul. One of the most outspoken women's rights activists in the kingdom, Al-Hathloul was arrested on May 15. In December, she was moved from Dhahban Prison in Jeddah, to Al-Ha'ir Prison in Riyadh. 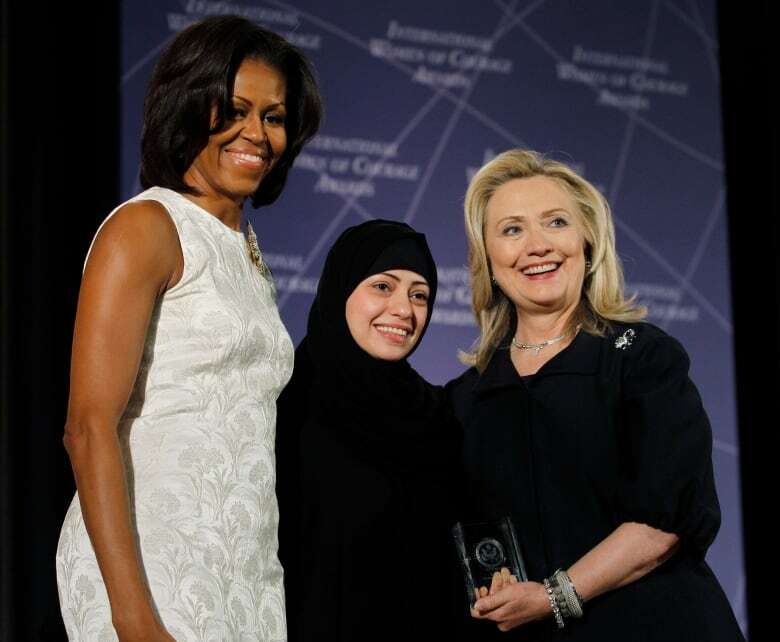 A second activist with ties to Canada is Samar Badawi, who was arrested in June 2018. She is the sister of imprisoned blogger Raif Badawi, whose wife and three children live in Quebec. She remains in Dhahban Prison in Jeddah. Bessma Momani, a professor at the University of Waterloo, said the reports that torture has occurred in more than one prison are worrying. "If there are multiple locations, it's systematic. It's a part of unfortunately either implicitly approved behavior or even worse, a directive," Momani said. "It's not a one-off incident or a prison gone rogue. Something really bad is happening." According to the report, one woman activist was falsely told by an interrogator that her family members had died, and was led to believe that was true for an entire month. According to another account, two activists were forced to kiss each other while interrogators watched. One activist reported that interrogators had forced water into her mouth as she was shouting while being tortured. Still others reported being tortured with electric shocks. "To us, that shows that this is escalating," said Jacqueline Hansen with Amnesty International. "These are activists that shouldn't be in jail in the first place, and they continue to be held without charge." Saudi Arabia has dismissed Amnesty International's claims as "baseless," and said it conducted its own independent investigation into the allegations, according to the group. Amnesty International is now calling for independent monitors to be given access to those in detention. Hansen says the group reached out to Saudi Arabia requesting to visit the prisons in December, but has yet to hear back. Momani said she's in contact with al-Hathloul's brother, who says the family meets with her every Sunday. In December, al-Hathloul's father alluded on Twitter that his daughter was being tortured. His account was shut down shortly afterwards. Earlier this month, her sister penned an op-ed in the New York Times calling for her release. Momani said the leaks about the alleged treatment of the activists are likely "embarrassing" to Saudi Arabia, which has faced international criticism for the killing of journalist Jamal Khashoggi and the recent high profile case of 18-year-old Rahaf Mohammed al-Qunun, who was granted asylum in Canada after fleeing Saudi Arabia alleging that her life was in danger. "I do believe that the Saudis feel the Khashoggi story is slowly going away," she said. "However, I think that cumulatively they know that this is damaging their ability to attract foreign investment." Momani said that among Saudi insiders, there's hope the women may be released to coincide with a significant international event like the 2020 G20 summit, set to be held in Riyadh. 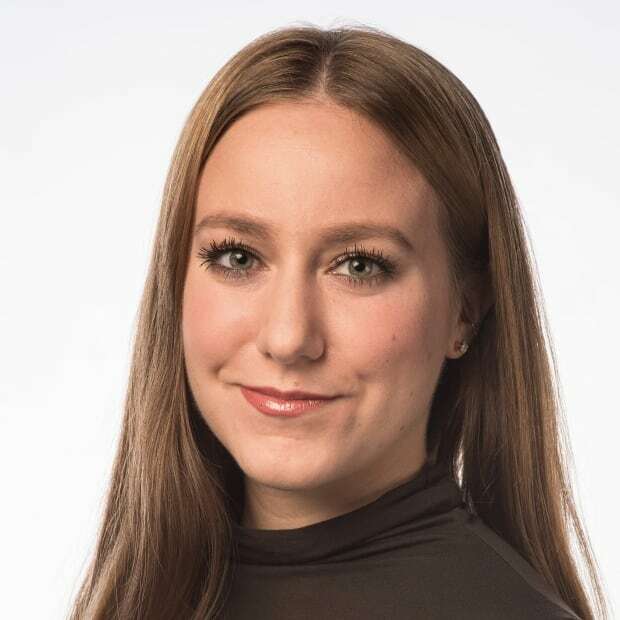 "There are a few sort of embarrassing things they'll want to wrap up on the international stage before that meeting," said Momani. Momani is among a group of academics working to nominate al-Hathloul for the Nobel Peace Prize, writing that it was important "to nominate a young person who wants nothing more than to see half of her country have the same legal rights as the other half." Nobel Peace Prizes are rewarded to individuals recognized for "the most or the best work for fraternity between nations, for the abolition or reduction of standing armies and for the holding and promotion of peace congresses" and are nominated by academics, previous Nobel laureates, and others.